Siemens has announced an industrial software grant of $447 million to the University of Western Australia (UWA). The $447 million grant will give UWA students and academics access to global, cutting edge technology, allowing them to develop the skills needed for the highly digitalised world of the future. The announcement follows the earlier announcement of a $135 million industrial software grant for the Swinburne University of Technology to create Australia’s first fully immersed Industry 4.0 facility. Mathias Cormann, the Minister for Finance for Australia and the head of the Australia-Germany Advisory Group, said both announcements are linked to the recommendations and work of the Prime Minister’s Industry 4.0 Taskforce – an industry led group established to support improved bilateral relations between Australia and Germany. “I am encouraged to see industry and academia collaborating to drive forward Australia’s digital economy. As a nation, our focus should be on driving productivity in existing industries and building our competitive strengths in new ones – all using digital technologies,” the Minister said. Siemens’ global Chief Technology Officer, Dr Roland Busch, said the grant to UWA was ‘a strong boost of confidence in Australia’ and the nation’s potential to innovate. “Australian ingenuity is world-renowned. As global market places prepare for the fourth industrial revolution, Australia has the ability to ride the digital wave. Companies such as MRX Technologies and Firewire Surfboards and products such as Siemens’ Fusesaver are testament to the fact that local Australian innovations can make a significant impact globally.” Mr Busch noted. The Siemens PLM software grant provides a suite of advanced PLM software tools that are used in everything from Ben Ainslie Racing in the America’s Cup, Firewire surfboard design, Red Bull Racing F1 and even the Mars Rover. The company’s PLM solutions include digital product development, digital manufacturing and product data management, as well as power tools such as the Teamcenter portfolio for engineering collaboration, NX™ software for 3D design, the Simcenter portfolio for predictive engineering simulation and analytics and the Tecnomatix portfolio which includes digital avatars. 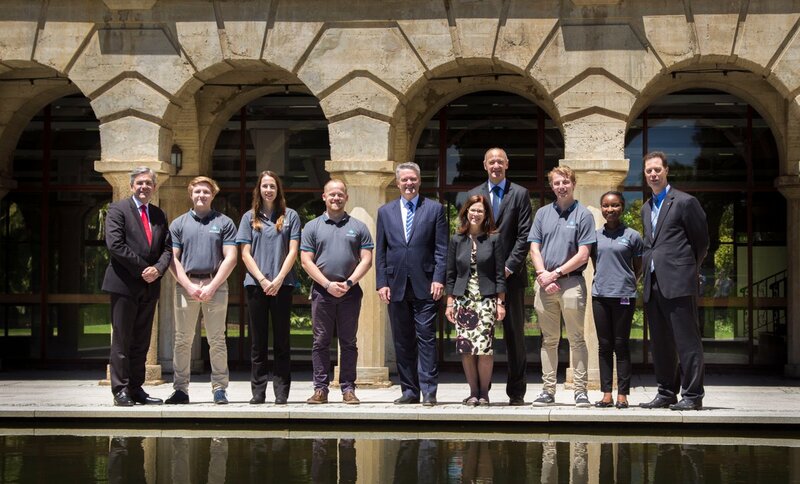 UWA Vice-Chancellor Professor Dawn Freshwater thanked Siemens for their ‘generosity and foresight’ in providing UWA students with the opportunity to pursue careers of the future. “This unique software will help us do just that as well as providing our students with invaluable access to some of the world’s most advanced and powerful software tools which have been used on NASA Mars missions and the development of the new Joint Strike Fighter project,” Ms Freshwater concluded.